Congratulations to Ryan for being crowned king of the Org! How does one become queen or king of the Org at CloudKettle you ask? We introduce a challenge related to Salesforce or another part of our business that everyone internally has the opportunity to participate in. To even the playing field, we’ll usually host information sessions if the challenge requires a certain skill that not everyone may have. The winner of each challenge wins several prizes, but perhaps most importantly they are given the office crown to be worn or displayed at their desk. We sat down with Ryan to learn how he solved the latest Salesforce IoT challenge. Ryan:Reconfigure a hockey light to go off every time an Opportunity is closed as won in Salesforce. Ryan:The hockey light comes preinstalled with an electric Imp chip so my first step was to figure out if I could reverse engineer the chip and write my own code on the existing chip. However, all these chips are locked to the hockey light manufacturer. After realizing this approach wasn’t going to work, my next attempt was to build everything from scratch with a Raspberry Pi and use the speaker, LEDs, and shell of the light. What was the most difficult part of the challenge? Ryan:The most difficult part was getting the hardware setup and working. The LEDs have these very finicky solder joints on them which I ripped off several times. Trying to organize all the wires inside the shell was also quite difficult because I didn’t exactly put the hardware together in a way to fit nicely into the hockey light metal shell. How did you solve the challenge? The code in Salesforce, which fires a rest request every time an Opportunity closed as won and when a Case closes (the Case part was for bonus points). A Node JS App hosted on Heroku that handles these POST requests from the Salesforce side. This Node JS app acts as the intermediate between Salesforce and the Light. This way the light doesn’t have to communicate with Salesforce directly – for security reasons. The Raspberry Pi controls the light and speaker. The Pi checks the Node JS app with an HTTP GET request every 10 seconds to see if Salesforce has pushed new information to the Node JS app. When it does it clears out the values and based on the information provided takes appropriate action. The information passed between Salesforce to the Node JS app is two boolean values and one string field. The booleans tell whether a Case closed or an Opportunity closed and the string value tells which currency the Opportunity which was last closed was in. When this is consumed on the Pi it plays a different song with a different light pattern depending on if it was an American or Canadian sale. If a Case closes the light has a different light pattern as well. What was the monetary prize and what did you do with it? Ryan: I won $250 dollars that I could use to treat our team to anything (legal and in good taste). I decided to order lunch for an all staff lunchtime meeting from a couple of the team’s favorites spots. 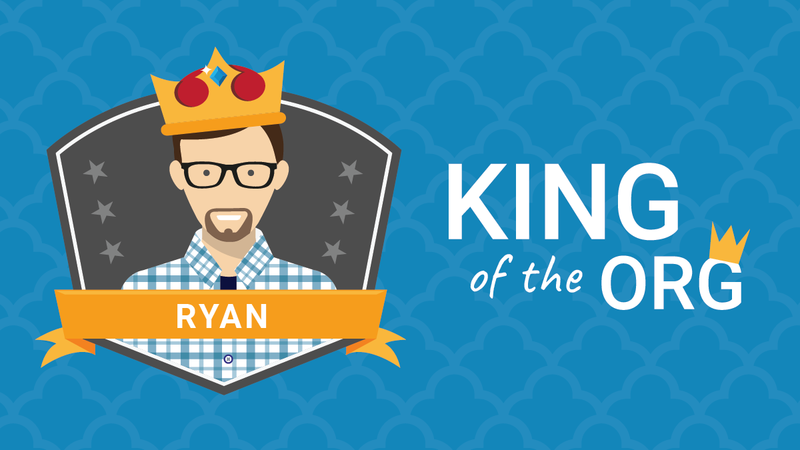 Ryan:On a scale from one to ten, I’d say a solid 11.3.
Who will be the next king or queen of the Org? Stay tuned! If you’re interested in seeing the rules and instructions for this challenge click here. 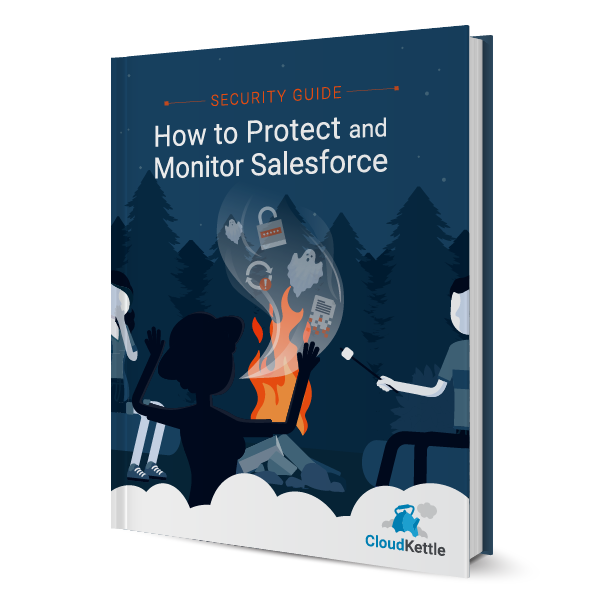 In this eBook, we’ll cover what basic security measures should be implemented in Salesforce to decrease your organization’s exposure to security risks. 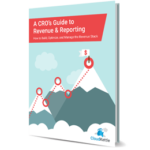 Learn how to build, optimize, and manage the revenue stack with our FREE eBook. 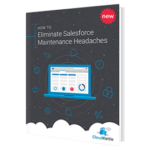 Learn how to take a proactive approach to Salesforce management to eliminate Salesforce maintenance headaches.